Mendo & Yvan Genkins, Compact Grey, Mikel e, soulrack, Gion, Hermanez and more. Slave To The Rhythm, Joe T Vannelli radio show, is broadcasted every saturday – from 7 to 8 pm – on m2o, the most important italian dance radio (1.000.000 listeners a day). All the episodes are also available in streaming on www.m2o.it, in “reloaded” link. 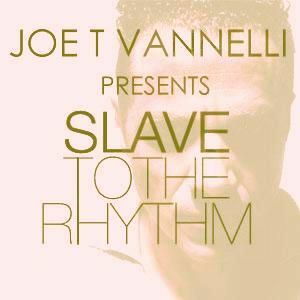 Slave To The Rhythm presents the best new exclusive house tracks, the same ones played by Joe T Vannelli during his worldwide djsets. Sttr is aslo produced in english version, and it’ s available free in the most important libraries, social networks and dance portals. Many times it becomes one of most italian downloaded podcats in iTunes library. Very soon i twill be broadcasted in many fm and web radio all around the world. joe hai fatto di meglio !! !